A 100’ long by 12’ tall curved, tilted wall made of perforated stainless steel with mist sprayers along the top edge. 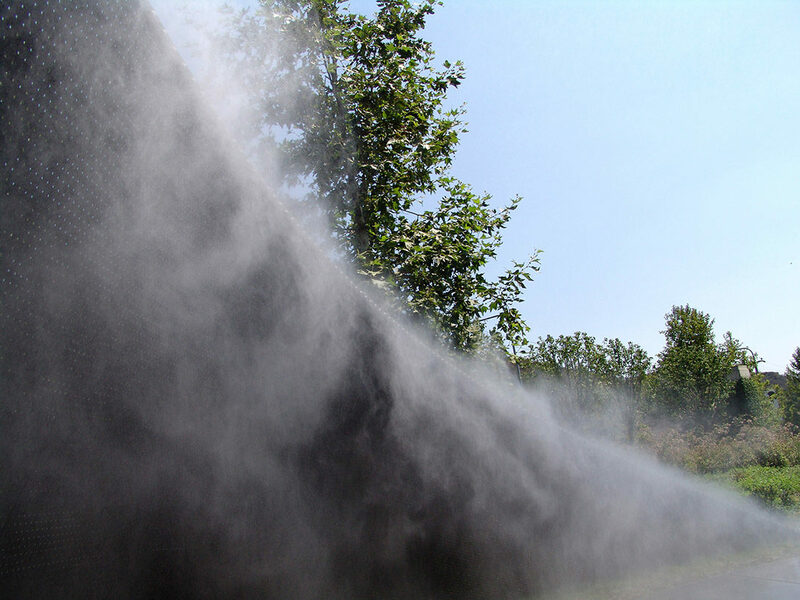 The billowing mist serves to dematerialize the edge of the artwork while providing a cooling environment for people walking along the path. The arc is fabricated out of perforated stainless steel that has been painted carbon black. 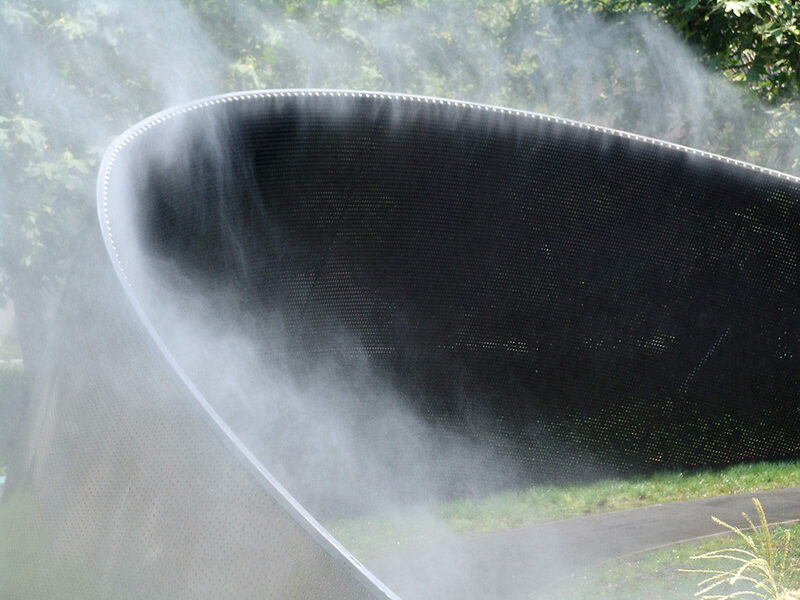 The top edge of the arc is lined with hundreds of mist sprayers that release a curtain of tiny water drops that visually blur the edge of the sculpture. When hit by direct sunlight, the mist refracts into a series of intense rainbows. As the mist billows from the top of the artwork it streams and sways in response to the wind like the spray from the top of a large breaking wave on the ocean. The interaction of the mist and the perforated metal background creates some interesting visual illusions. People walking behind the wall instead appear to be walking in front of it but enshrouded in mist. 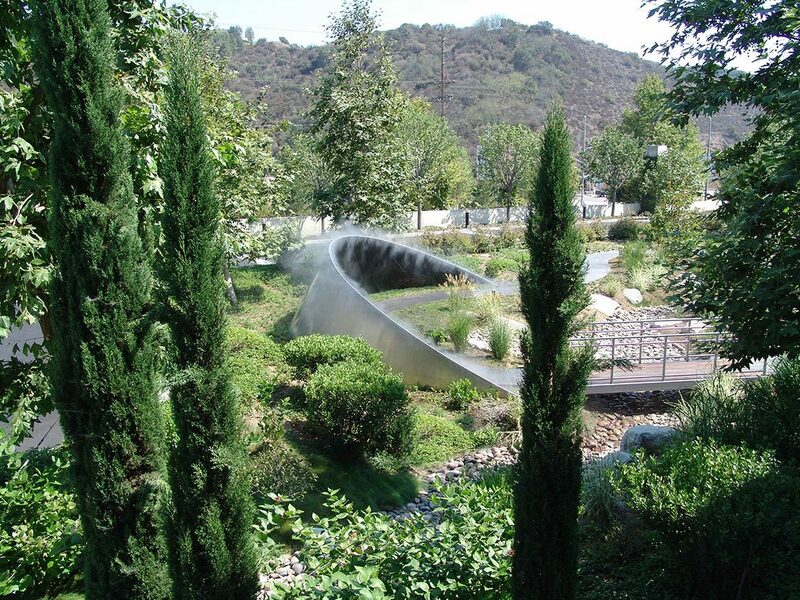 The artwork and surrounding landscape design evolved through a collaboration with Moshe Safdie (2008).